4 Leaf Clover Soap Recipe - 2 Pages. 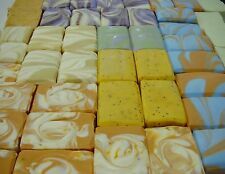 18 Soap Making. Introduction to Soap Making - 30 Pages. Soap Making Manual - 264 Pages. The Pocumtuc Housewife Direction for Soap Making - 76 Pages. How to Make Soap - 6 Pages. The Complete Ketogenic Diet for Beginners. The Big 15 Ketogenic Diet Cookbook. The Wicked Good Ketogenic Diet Cookbook. Ketogenic Global Kitchen - The World's Most Delicious Foods Made Keto & Easy. Fight Cancer with a Ketogenic Diet. 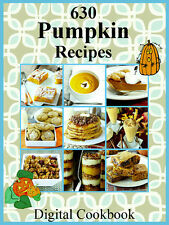 This is a great E-Cookbook with 630 delicious recipes you can make with pumpkin! If you like pumpkin, you'll love this e-cookbook! This is a DIGITAL cookbook and contains no paper pages. For multiple cookbook orders I will put all e-cookbooks on one CD-ROM unless otherwise requested. This E-Cookbook has 211 great recipes for making stuffing! It contains a huge variety of recipes for stuffings including traditional stuffings made by Mom and Grandma. It also has a couple hundred other stuffings such as oyster, brocolli, sausage, spinach, sweet, apricot, fish, just about every possible stuffing made with all kinds of ingredients.the list goes on and on. This is a great E-Cookbook with 134 delicious recipes for ribs! If you like ribs, you'll love this e-cookbook! It contains recipes for dishes such as country style ribs, honey barbecued ribs, oven beef ribs, Italian ribs & rice, Polynesian ribs, BBQ beef ribs, baby back ribs, Cajun ribs, maple glazed ribs, honey ribs, KC style ribs, peach glazed.the list goes on and on. This E-Cookbook has 463 delicious recipes you can make with onions! If you're like us and you really like onions, this is the cookbook for you! This is a DIGITAL cookbook and contains no paper pages. Here is a great e-cookbook that has 550 recipes for foods made with spinach!If you like spinach, this cookbook is for you. In fact, there are. For multiple cookbook orders I will put all e-cookbooks on one CD-ROM unless otherwise requested. This E-Cookbook has 3097 delicious recipes you can make with mushrooms! If you like to cook and you like mushrooms, this is the book for you! In fact, there are. This is a DIGITAL cookbook and contains no paper pages. This is a great E-Cookbook with 150 delicious quiche recipes! If you like eggs and quiche, you'll love this e-cookbook! It contains recipes for quiche made with spinach, seafood, ham, chili, taco, sausage, bacon, cheeses, asparagus, cheeseburger, beef, also pies, crusts, tarts.the list goes on and on. This e-cookbook has 524 turkey recipes so if you would like to learn all kinds of ways to make turkey, this is for you. In fact, there are. This is a DIGITAL cookbook and contains no paper pages. For multiple cookbook orders I will put all e-cookbooks on one CD-ROM unless otherwise requested. This is a DIGITAL cookbook and contains no paper pages. For multiple cookbook orders I will put all e-cookbooks on one CD-ROM unless otherwise requested. This is not a hardcover book with paper pages, it is a PDF file and will be provided on CD-ROM. This E-Cookbook has 232 great recipes using curry. just about every possible recipe made with curry.the list goes on and on. For multiple cookbook orders I will put all e-cookbooks on one CD-ROM unless otherwise requested. This e-cookbook has 782 recipes using tomatoes so if you're into tomatoes,this is for you. In fact, there are. For multiple cookbook orders I will put all e-cookbooks on one CD-ROM unless otherwise requested. 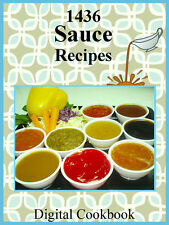 This E-Cookbook has 2397 delicious recipes using beans. Yes, that's right.2,397 recipes! In fact, there are. This is a DIGITAL cookbook and contains no paper pages. For multiple cookbook orders I will put all e-cookbooks on one CD-ROM unless otherwise requested. This is a great E-Cookbook with 497 delicious sandwich recipes! If you are into sandwiches, you'll love this e-cookbook! This is a DIGITAL cookbook and contains no paper pages. For multiple cookbook orders I will put all e-cookbooks on one CD-ROM unless otherwise requested. This is a great E-Cookbook with 295 delicious recipes you can make with peaches! If you like peaches, you'll love this e-cookbook! This is a DIGITAL cookbook and contains no paper pages. For multiple cookbook orders I will put all e-cookbooks on one CD-ROM unless otherwise requested. This E-Cookbook has 78 delicious recipes for ice cream! Although there are recipes for making ice cream, most of this cookbook contains recipes for how to make different types of desserts with existing ice cream. This E-Cookbook has 86 delicious granola recipes. This is a DIGITAL cookbook and contains no paper pages. For multiple cookbook orders I will put all e-cookbooks on one CD-ROM unless otherwise requested. This E-Cookbook has 545 delicious recipes using bananas. It contains recipes for cakes, pies, smoothies, puddings, cookies, pancakes, frosting, muffins, punch, breads, ice cream, just about every possible recipe made with bananas.the list goes on and on. This e-cookbook has 85 great recipes for waffles!If you're a breakfast person and you like waffles, this is the cookbook for you. This is a DIGITAL cookbook and contains no paper pages. For multiple cookbook orders I will put all e-cookbooks on one CD-ROM unless otherwise requested. This is a great E-Cookbook with 373 delicious recipes for salmon! If you like salmon, you'll love this e-cookbook! It contains recipes for dishes such as casseroles, sauces,salmon grilled, poached, wrapped, glazed, baked, salmondeviled eggs, lemon herbed salmon, ginger scallion crusted salmon, salmon cakes, made with chowder, ravioli, salad, pies, patties, loaves.the list goes on and on. In fact, there are. This is a DIGITAL cookbook and contains no paper pages. For multiple cookbook orders I will put all e-cookbooks on one CD-ROM unless otherwise requested. This is not a hardcover book with paper pages, it is a PDF file and will be provided on CD-ROM. This E-Cookbook has 356 delicious recipes using asparagus. This is a DIGITAL cookbook and contains no paper pages. For multiple cookbook orders I will put all e-cookbooks on one CD-ROM unless otherwise requested. This E-Cookbook has 289 delicious recipes using artichokes. This is a DIGITAL cookbook and contains no paper pages. For multiple cookbook orders I will put all e-cookbooks on one CD-ROM unless otherwise requested. This is a great e-cookbook that has 479 recipes for steak!If you like steak, this cookbook is for you. In fact, there are. For multiple cookbook orders I will put all e-cookbooks on one CD-ROM unless otherwise requested. This is a great E-Cookbook with 227 delicious pancake recipes! If you like pancakes, this is the cookbook for you! It contains pancake recipes for Herman pancakes, Finnish pancakes, German pancakes, potato, banana, blueberry, beer, strawberry, apple, gingerbread, cheese, sourdough buckwheat, bacon pancakes.the list goes on and on. This E-Cookbook has 655 delicious recipes you can make with marshmallows! This is a DIGITAL cookbook and contains no paper pages. For multiple cookbook orders I will put all e-cookbooks on one CD-ROM unless otherwise requested. This E-Cookbook has 220 delicious recipes using eggplant. It contains a huge variety of recipes for all kinds of dishes such as eggplant rollatine, eggplant with garlic sauce, oxtail stew, Russian eggplant, Italian eggplant, relishes, pies, casseroles, chili, salads, eggplant stuffed with lamb & feta, Ratatouille, and a whole lot more.the list goes on and on. This is a great E-Cookbook with 273 delicious raspberry recipes! If you like raspberries, you'll love this e-cookbook! This is a DIGITAL cookbook and contains no paper pages. For multiple cookbook orders I will put all e-cookbooks on one CD-ROM unless otherwise requested. This E-Cookbook has 916 delicious recipes you can make with ketchup! This is a DIGITAL cookbook and contains no paper pages. For multiple cookbook orders I will put all e-cookbooks on one CD-ROM unless otherwise requested. This E-Cookbook has 287 great recipes using blueberries! It contains a huge variety of recipes for all kinds of dishes using blueberries such as pies, cakes, sauces, muffins, breads, smoothies, dumplings, salads, pancakes, parfaits, cobblers, souffles, streusel, puddings, scones, just about every possible recipe made with blueberries.the list goes on and on. This E-Cookbook has 381 great recipes using beer! In fact, there are. This is a DIGITAL cookbook and contains no paper pages. For multiple cookbook orders I will put all e-cookbooks on one CD-ROM unless otherwise requested. This E-Cookbook has 348 terrific recipes using almonds. It contains recipes ranging from slaws, chicken. This is a DIGITAL cookbook and contains no paper pages. For multiple cookbook orders I will put all e-cookbooks on one CD-ROM unless otherwise requested. 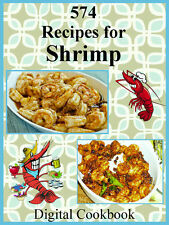 This is a great E-Cookbook with 419 delicious recipes you can make with pecans! If you like pecans, you'll love this e-cookbook! This is a DIGITAL cookbook and contains no paper pages. For multiple cookbook orders I will put all e-cookbooks on one CD-ROM unless otherwise requested. This E-Cookbook has 538 great recipes using cranberries. It contains a huge variety of recipes for all kinds of dishes using cranberries such as cakes, cookies, sauces, pies, breads, salads, drinks, bacon, sherbets, muffins, spreads, punch.the list goes on and on.